Omega 19''' LOBNN Pocket Watch 1916 - Helicopters, pocket watches, helicopter flight simulation and more. June 2012, I have a Omega pocket watch in for overhaul. It looks like that only the balance axle is broken on one side, the rest just looks ok.
Well, this is how it looks like. A new balance axle is needed, one stone needs to be renewed and I would give it a new glas. Finding the parts will take some time. I think the axle broke when the watch fell down once as the case has a significant dent. July 2012, With a little help from my friend's the balance axle is changed and the watch is tikking again. Still some more work with the case waiting. 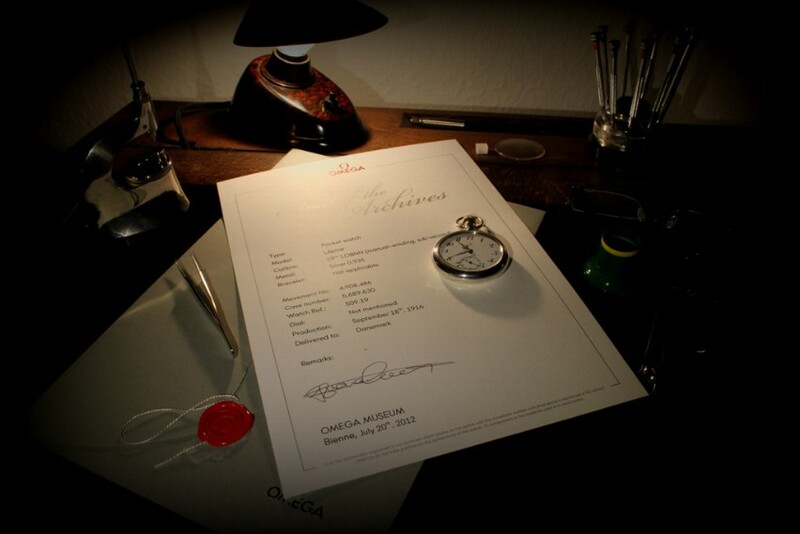 August 2012, Omega confirmed that the caliber is a 19''' LOBNN built at the 18th September 1916.